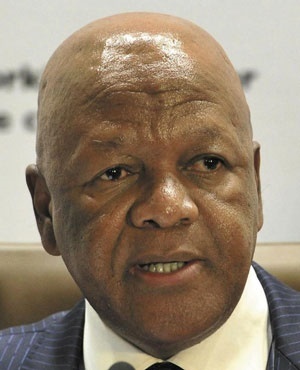 Energy Minister Jeff Radebe said on Friday that the complete replacement of the board of the Southern African Nuclear Energy Corporation, or Necsa, was warranted given its failures to exercise its fiduciary duties. The minister was speaking at a briefing in Pretoria. Necsa conducts research and development in the field of nuclear energy, radiation sciences and technology. It is also responsible for uranium enrichment. Cabinet approved the new board this week. The new members are Dr Robert Adam, who will replace chair Kelvin Kemm, Dr Ramatsemela Masango, Aadil Patel, Bishen Singh, Pulane Kingston, Mathlodi Ngwenya, Jabulani Ndlovu and Pulane Molokwane. CEO Phumzile Tshelane, meanwhile, has been placed on precautionary suspension. Radebe said there will be an investigation into allegations of irregularities by him. Depending on the outcomes of the investigation, disciplinary proceedings may or may follow. In the interim, Don Robertson has been appointed CEO. Robertson is a former managing director of a subsidiary of Necsa, the NTP. "He will assist the board to restore good governance and bring financial sustainability to the organisation,"said Radebe. Radebe said serious governance issues dogged the previous board. He mentioned a laundry list of issues, including legislative non-compliance, non-adherence to specific instructions from the department of energy, financial mismanagement, remuneration irregularities, unauthorised international travel and a memorandum of understanding signed with a foreign entity- Russian firm Rosatom - despite the minister's instructions not to. "On a number of occasions, the Necsa board failed to execute its statutory mandate in a satisfactory and prudent manner. "In many instances it appeared deliberate acts that ran contrary to the fiduciary duty of the board over the affairs of Necsa," he said. Deputy Minister Thembisile Majola said that as a subsidiary the NTP plays a critical role internationally in the production of medical isotopes. The decision to overhaul the board was not just a Necsa matter, but a national and international matter. Majola confirmed that Kemm, Tshelane and Pamela Bosman had approached lawyers to challenge their removal. "[There are] certain individuals who have decided to go and challenge this issue. It will be dealt with but we are moving on because we have a lot of work to do, to undo the damage."